Traditional container design. Sturdy constructed body. All-weather durability. Made from resin. Made in China. No assembly required. 18. 5 in. Dia. x 24 in. H (9 lbs.). 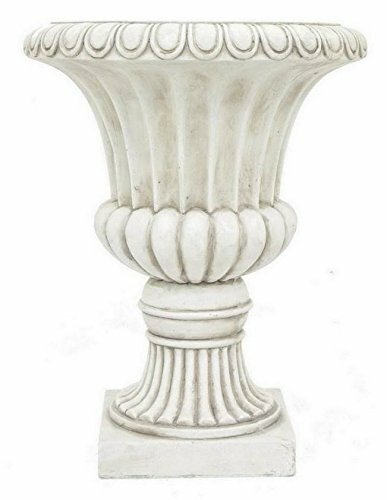 Urn Is Ideal For Indoor Or Outdoor Gardening Purpose. The Traditional Container Design Features For Enhancing Embellishment To Add A Beautiful Accent To Every Home.